SizeMyPics can support you in converting a lot of pictures to another format and size in a convenience way. 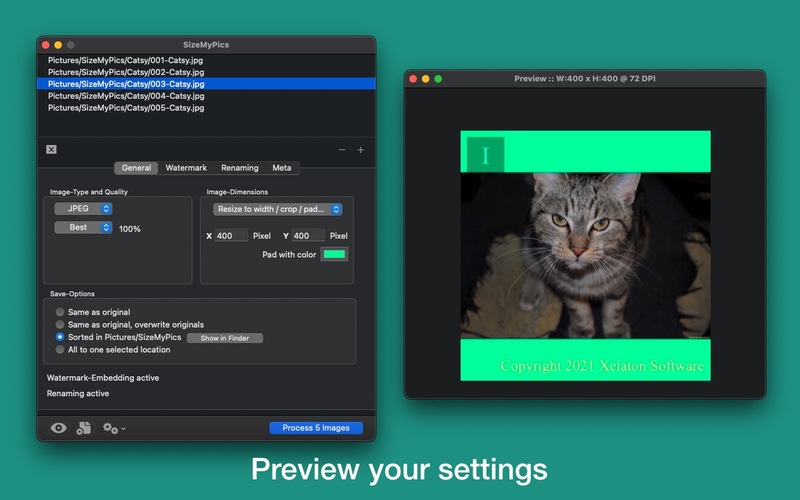 Read all about the features SizeMyPics has to offer and how it can make your work easier. What kind of image-formats are supported? 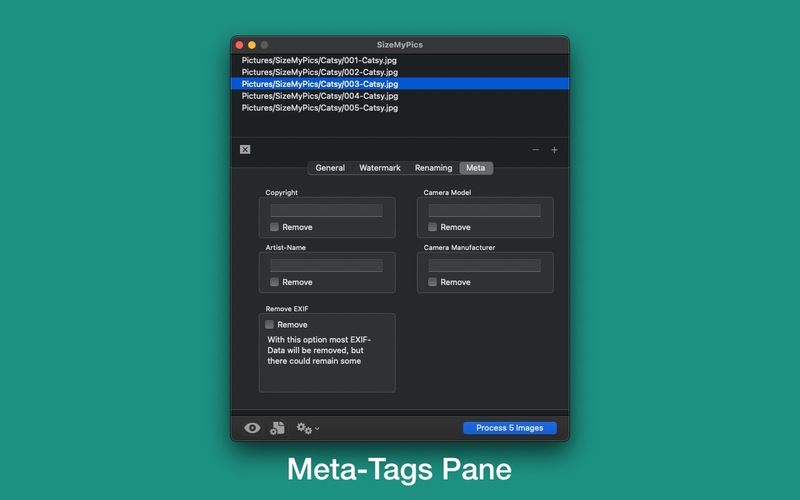 SizeMyPics accepts most common image-formats as input, like jpg, gif, png, tif etc.. 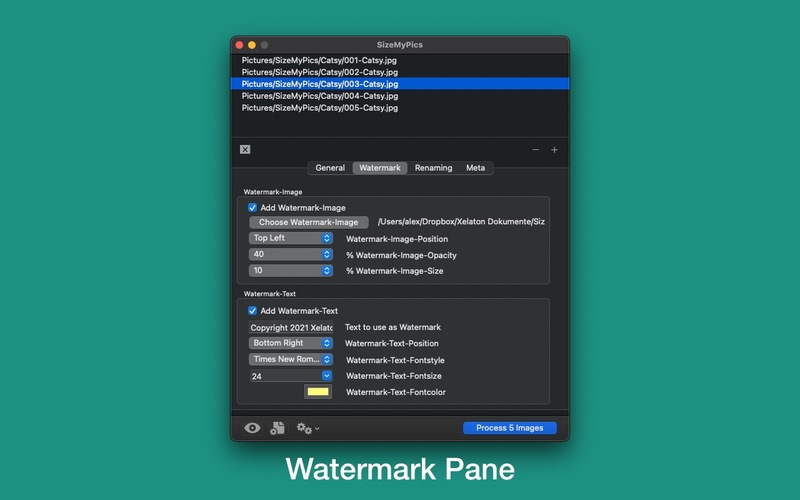 If you can open your images in Finder using Quicklook and open them in the Preview application, SizeMyPics can convert these files normally. How can files be added to the batch-process? Also, you can add folders filled with image-files to SizeMyPics. SizeMyPics will check these folders automatically and will add any valid image-file to the file-field. Also, SizeMyPics can read in containing subfolders. Prior doing so, you'll be asked if you really want to do this. What can SizeMyPics do with my images? 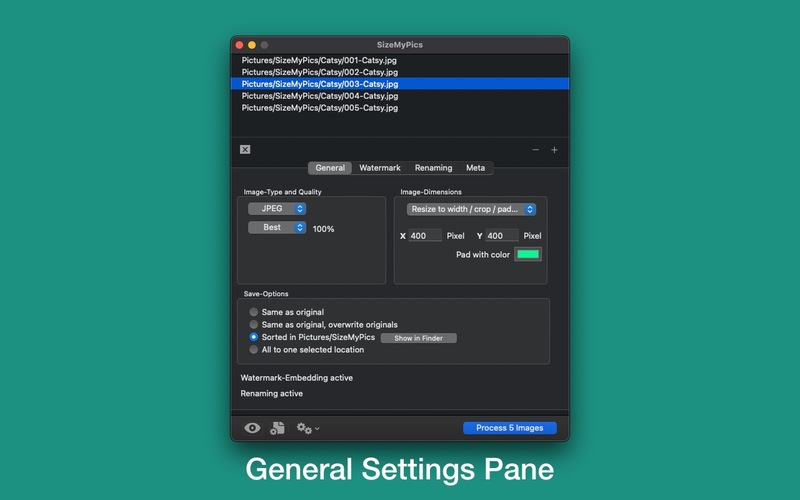 Additionally several compression-types for JPG-files are available.Next to a selection of predefined values, an option to set an individual percental value is also available. For numbering, SizeMyPics offers an option with a set of styles to add prepending 0. 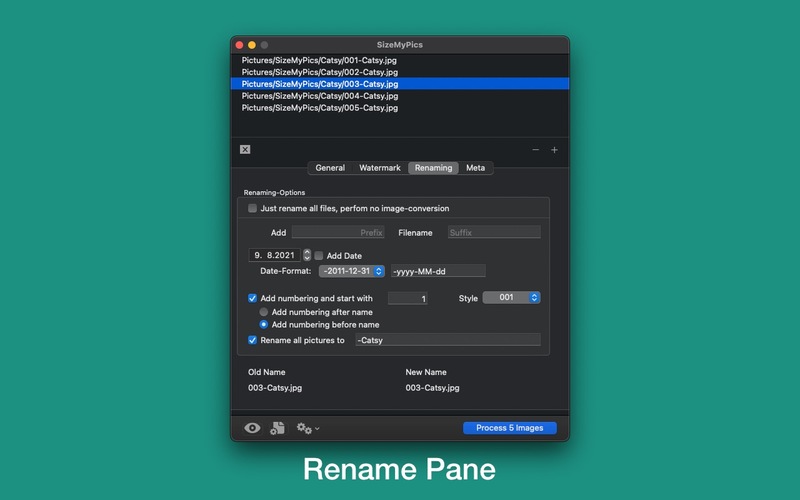 SizeMyPics also offers an option to just rename the selected files without doing any conversion or resizing. All made settings can be saved for later using, so the same settings are available over and over again with just one click. Therefore settings for all of your image-projects are at hand, always.